Welcome to Perth Ontario. Centrally located, PERTH is a modern community with old-world charm. 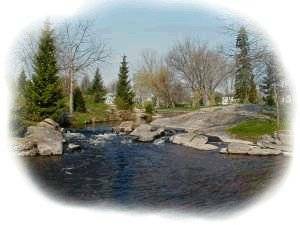 Perth is located on the Trans Canada Highway (Hwy #7) nestled in a parkland setting along the Tay River. ExplorePerth.ca has been developed to help local merchants promote their business on-line. "Things to do in and around Perth." Relax or take a walk-about Stewart Park. Saturday 8am to 1pm stop by the Perth Farmer's Market. Take the children to Conlon Farm. Enjoy the nature trail at the Perth Wildlife Reserve. Visit one of the many fine artisan shops in downtown Perth. Have breakfast, lunch or dinner at one of the many fine restaurants. Attend one of the many yearly Festivals. Take a walking tour of Heritage Perth. Take a drive around town and see some of the historic sights. 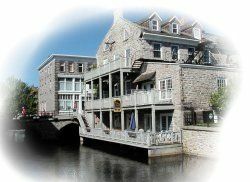 Boating from the Rideau Canal, up the Tay Canal, right into the downtown Tay River Basin. Getaway weekend at one of the local Bed & Breakfasts. Fishing in one of the many surrounding lakes, rivers and streams. Snowmobiling, snowshoeing, X-country skiing, and public ice skating at the local arena. Come and see the magnificient fall colors. Come and see Perth-in-Springtime, all in bloom. Take in a movie at the local drive-in. Visit the local cheese factory for fresh curd, great ice cream cones, and award winning cheeses. Pamper yourself with a massage or spa service. Come for a round of golf. Take a refreshing dip at the Perth Pool.